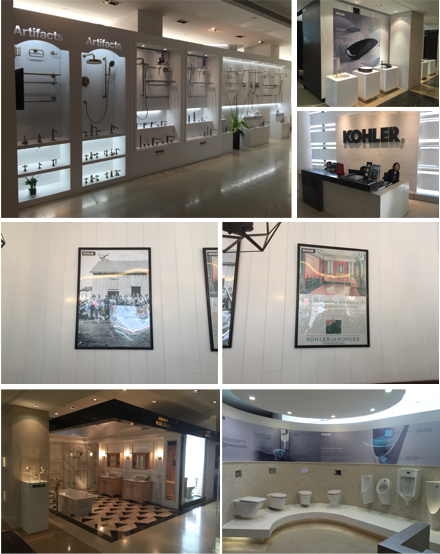 On my latest trip to Shanghai, I came across a unique two-floor showroom for kitchen and bathroom fixtures brand Kohler. This flagship design centre is more than just a conventional showroom and combines a European-style cafe and lounge on the ground floor with an upscale and sophisticated showroom on the second level. The showroom includes stylish Kohler design vignettes featuring the brand’s range of products with appropriate room settings and unique store signing.